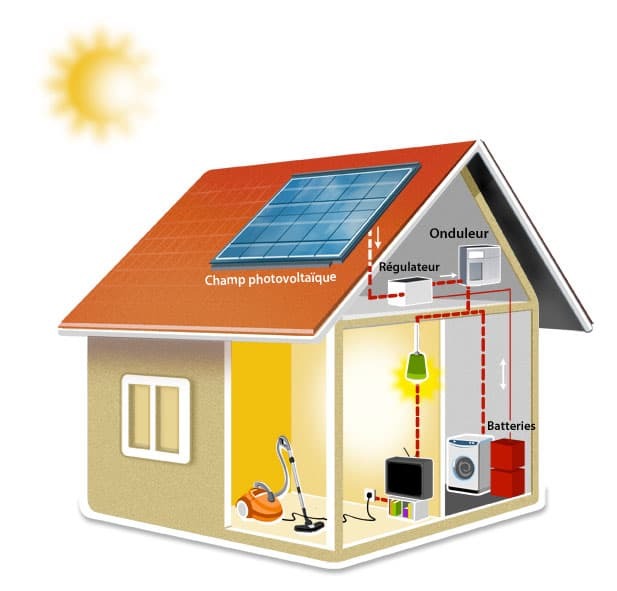 The photovoltaic process of solar energy production consists in directly converting the light radiation into electricity. To do this, it uses photovoltaic modules or panels made up of solar cells that carry out this electrical transformation. The solar cells produce electricity in DC as the batteries and not as the sector, which is in France is AC 220 VAC at 50 Hz frequency. In order to be able to inject into the network the solar energy produced or to supply AC equipment, a DC / AC converter is thus used which produces an alternating current from the continuous, in other words an inverter. Once converted into conventional electricity, the electricity produced is resold and redistributed on the local network. Your usual needs are met by the electricity network (or your usual needs are first filled by your own source and then by the network in the case of partial resale), so you have two counters that count in both directions, electricity that is donated to the grid and the one that is captured. An additional counter is added against any risk of return connection. 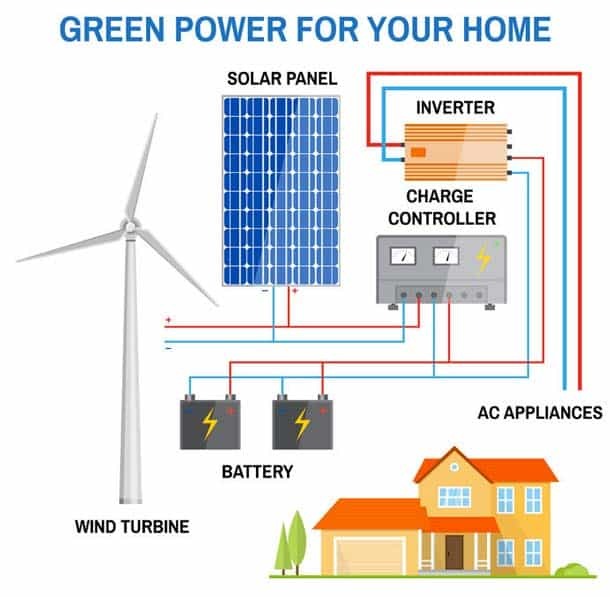 As the resale price of KW / h is higher than the purchase price, you realize profits per KW / h.
Once converted into conventional electricity, the electricity produced is directly redistributed in the circuit of your home or stored in batteries. Your usual needs are thus fulfilled by your own production. In the city, when you benefit from a good coverage of local energy network, you can get option for your choice for a dependent or semi-autonomous system. If you are looking for a power supply for a detached home or a regular power outage, the standalone system will meet your expectations. There is, however, a back-up system, which allows electrical installations requiring a constant and imperative supply to be at least protected in the early stages of a power cut. 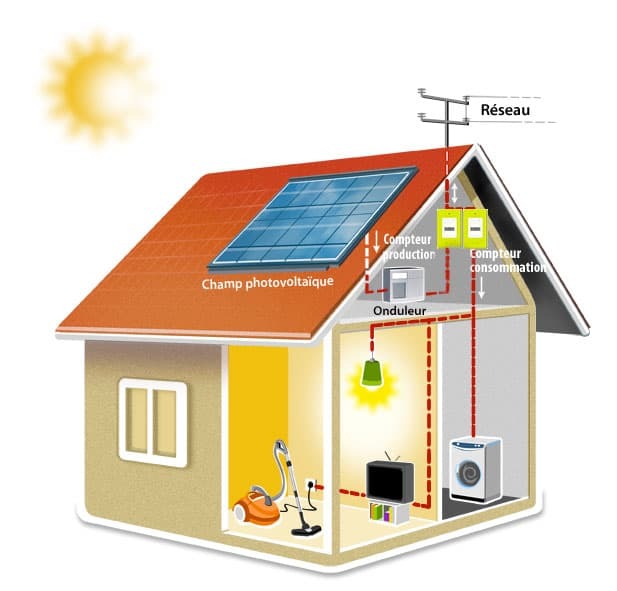 hybrid power systems that combine solar power from a photovoltaic system with another power generating energy source. The choice between these three different systems depends primarily on your needs.